Choosing a refrigerator with the mind! Purchase must be appropriate! Recessed or detached? How many cameras should be refrigerated. The best materials and coatings. Which fridge reliable company? We answer all questions on buying a refrigerator! Refrigerator - home appliances, which wehave to buy every day. Therefore, for such a purchase should be approached with awareness, in order to your refrigerator has served you much longer. Our article will help you sort out the huge selection of refrigerators on the market of home appliances. Which refrigerator to choose - what to look for when buying? 1. Class refrigerator: "A", "A +", "B", "C" indicates the amount of energy consumed. European producers are classified all of its refrigeration products letters A through G, which indicate a certain level of consumption of electricity consumption for the year. A class - the smallest power consumption,G class -The high. refrigerators Class B and C are considered to be economical. D denotes the average value of electricity consumed. If you are looking for a very cost-effective refrigerator, look for models with modern notation Super A or A +++. 2. The quality of the painting. Open the refrigerator, take a look, both qualitatively applied paint. Maksim: I came to the store to choose a refrigerator, webrought him home, he was in the labels when labels started to take off, they moved together with the paint, while in the upper right corner of the refrigerator, found an error. Well, not even 14 days have passed, refrigerator safely returned to the store and choose another. 3. Compressor. Even if you claim that the refrigerator is good, the Russian assembly, pay attention to the compressor manufacturer. Valery: Bought a refrigerator, we were assured that thisrefrigerator Russian assembly, the assembly that the Russian and the Chinese turned the compressor in the future, which caused problems with the fridge. So be sure to note that the compressor was not Chinese. Recently, fancy interior and modern kitchens are no boundaries. Therefore, built-in refrigerators are increasingly beginning to be in demand in the market of household appliances. Refrigerators can be completely hidden from view, but on the mind alone can leave an electronic refrigerator panel for control and regulation of temperature. When you select the embeddable refrigerator you cannot tied to the design of the refrigerator. Since the built-in refrigerator can be completely covered with decorative panels, the body may be completely absent in the refrigerator, but it did not affect his versatility. Low noise levels. Due to the walls that surround it and serve as sound insulation. Space saving. Polnovstraivaemy refrigerator can be combined with a washing machine, a kitchen table. Built-in refrigerator can help you save considerable space. An excellent choice for small space kitchens. The most important thing when choosing this refrigerator into account all kinds of proper operation and the required dimensions. Moving. Unlike embedded refrigerator, freestanding refrigerator can be moved to any convenient place for you without difficulty. Design. You can choose the color of the refrigerator model, buy a refrigerator with a built-in electronic control panel. Price. Separated refrigerators are much cheaper than built. I have a small-sized kitchen, so embeddedrefrigerator perfectly vacated the seat. Now we enjoy a dinner of all our happy family. And that previously had to turn dinner))). It marks not tied, we have Samsung, satisfied !!! We live in a rented apartment, so stoppedopt for a separate refrigerator. We often have to move, so as I would not like to have a built-in refrigerator until it is impractical. I love to frequent change of environment often dorepair, so that the purchased stand-alone refrigerator white, because for our family expensive to buy every two years a new refrigerator. And I can dream up with decorative stickers. How many cameras should be in the refrigerator? Refrigerators for the home are of three types - a single-chamber and dual-chamber, three-compartment. 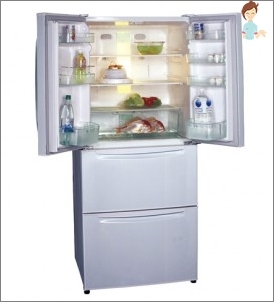 Single Door refrigerators - A refrigerator with a large refrigerator compartment and a smaller - freezer. This refrigerator may be suitable for a small family garden. refrigerator - This is the most common type. He has a refrigerator and freezer separately located. Freezer can be placed at the bottom or at the top. If you frequently use the freezer and refrigerator high, then the admissibility of an option with a bottom freezer, where the number of boxes can be from two to four, that allows you to store different products separately. 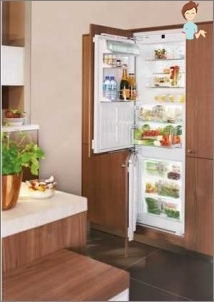 The three-chamber refrigerators added the zero zone - which is also very convenient. 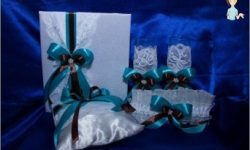 The products do not freeze, but to keep them secure. I changed the fridge specially that it has beenfreshness zone. Very handy thing. I was there constantly keep the cheese! Meat bought in the evening and put in the zero zone, and in the morning doing what I want. I have not been waiting for defrosting and do not fear that the product will deteriorate. And the fish just as well! And we, the old fashioned way, with his wife prefer the classics, a single-chamber refrigerator. Ehh! The habit is difficult to rebuild the old men, well, we are very satisfied! Hopefully, in our century will suffice. Since I am the hostess thrifty and my husband, and twochildren, I chose the refrigerator with the lower chamber, and three shelves, I have there and full of meat and fruit is frozen at compotes and semi-finished products for the family harvested. All full and happy! How to choose the management, electromechanical or electronic? refrigerator is controlled by means of electronic and electromechanical devices. Electromechanical control - This is the usual thermostat division from 1 to 7, which we expose manually, depending on what temperature we want to expose. Benefits: Very reliable and easy to manage, as well as protected from power surges, and what is its advantage. That is why many people prefer to just such a control, it can still be called semi-automatic. Disadvantages: inability to maintain a precise temperature. electronic control panel usually has a built in refrigerator door on the dial with the display which displays the temperature in the refrigerator and has a control button. Benefits: precise temperature control that prolongsthe safety of products, and allows you to set different temperatures in individual cells, humidity control. Alarm, which is triggered when the temperature rises or the doors are open, self-diagnosis. Disadvantages: since the electronic control is made up ofthe plurality of LEDs, touch buttons, ie the structure is complex, so it is great demand for high-quality power supply. Surge voltages result in damage and costly repairs. As for conventional and electronic control,it's just. Since time immemorial, in the refrigerator thermostat is a bellows with a gas that expands and contracts with temperature. At higher temperatures, the bellows pressure on the switch and includes a compressor, with a decrease - off. And refrigerators with electronic controlare temperature sensors in each chamber, which receives a signal from the processor, the temperature is calculated and compared with a predetermined. Therefore, any deviation from a predetermined temperature less than one degree. Which allows to make the area of ​​freshness, in which the temperature is above zero degrees to share, it does not freeze independently of the other settings of the refrigerator. New is best. Progress is moving forward. Electronics better and more precisely maintain the temperature in the chambers. Know-frost - a "freeze dry" (literally, "without ice"). In addition to a slight decrease of the chamber volume more than any deficiencies are not noticed. Bought Samsung to set the display onthe front panel of the refrigerator temperature is displayed with an accuracy of one degree. I can also put different temperatures in the chambers. I can not get enough of this acquisition. Together with a refrigerator purchased a voltage regulator to prevent voltage drops. Since we were warned that the voltage drops are dangerous for these refrigerators. What should be done refrigerator? Materials. Benefits. Long-term service. Unlike plastic refrigerator stainless steel does not leave scratches. Disadvantages. It is well visible fingerprints. The surface of such a material requires special care. Recommended 3 or 4 times a year to wash the surface with special means for the care of stainless steel. Benefits. Relatively inexpensive refrigerator, does not require such careful care, it is enough to wipe with a cloth when dirty. 3. Plastic. 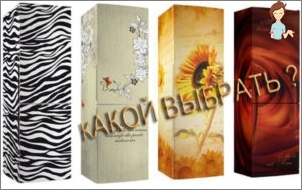 Shelves mainly made of plastic, marked note, it may be indicated on the shelf PS, GPPS, ABS, PP. If the mark is affixed testifies certification. 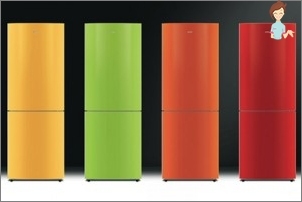 How to choose the color, and whether to buy a colored refrigerator? White fridge It is still the most common in the market of household appliances. Benefits. It reflects heat rays and slightlypromote energy efficiency. The most hygienic and combined with any color scheme of the kitchen interior. 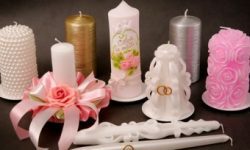 It allows application of decorative stickers. Some coatings can be colored markers to write and is easy to remove with a cloth. White refrigerators, you can choose different colors. disadvantages. Among the shortcomings it noted that the refrigerator will be seen that any contamination that would require more frequent maintenance. Color refrigerator. It proposed on the market for more than 12 different colors. Benefits. Creative interior. On the color refrigerator not visible all the flaws, as white. The matte surface does not leave fingerprints. Disadvantages. When choosing the color of the refrigerator for longservice life you have to take into account the change of its taste, fashion, interior. Also, it will require additional costs because of the color fridge you have to pay more. What determines the price of the refrigerator? Dear refrigerators. Steel. Stainless steel refrigerators are much more expensive. Dimensions. Depending on where you get a fridge,in small or large apartment, in a private home for a large or small family. The most expensive models are very large or very small, but functional refrigerators. Number of cameras. The refrigerator may be up to three chambers. Three-chamber refrigerators are usually more expensive, because they present new-fangled and popular area of ​​product freshness. automatic defrosting system: Drip - and cheaper No Frost system - It is more expensive. Compressor. Refrigerator may be with one or two compressors. energy class "A", "B", "C"
Control system - Mechanical or electronic. Electronic refrigerator control system affects its price in a big way. Which company is best refrigerators? Specialized brands. Reviews. Brands that specialize in refrigerators. German - LIEBHERR, AEG, KUPPERSBUSCH, BOSCH, GORENJE, GAGGENAU. And, of course, refrigerator Korean assembly such as: LG, DAEWOO, SAMSUNG. This is a relatively inexpensive refrigerators possess multifunctional capabilities. Ukraine: NORD. Donetsk plant "Donbass" refrigerators recent joint development with the Italian company BONO SYSTEMI. And what company you have a refrigerator? Which is better? Reviews. When choosing a refrigerator, I paid attention to the reviews, the warranty period, which gives the manufacturer, the availability of service centers in your area. Chose VOSCH. Very happy. Fridge LIEBHERR - a good thing from the Germanbrand. For 2 years of refrigerator defrosts 2 times in order to wash it. There was only frost free folk. Although this function Nou refrigerator without Frost. Due to the magnetic refrigerator door seals of excellent quality, which do not allow the camera being sucked warm air (because of what may appear the ice). I am very pleased with the refrigerator. If you are going to take, I think you will not regret. Refrigerator Atlant. The previous fridge was firm Atlas, which served us faithfully for 12 years, but still have their years, worn elastic bands, refrigerator began to leak, and we decided to buy a new one, your choice also stopped at this company. Colour silver, with the upper chamber. Low noise, does not require defrosting. Hopefully it will serve us no less. Refrigerator Hotpoint-Ariston. In case of power can operate autonomously for 19 hours. In size 200h60h67 cm, weight 60 kg, color white. With one komprescorom, with two cameras, two-door. Freezer at the bottom of 128 liters. Cooling to -18 degrees in the freezer 3 transparent drawers, through them, the contents of the boxes perfectly clear. 1 small compartment for freezing ice. Fridge volume 235 l., Please shelves are made with an antibacterial coating so more safety glass, adjustable height. freshness zone with zero temperature at the bottom where you can store fish, milk. Price acceptable. His purchase satisfied. So I recommend. Refrigerator Bosch. The first - a reasonable price. Cost of electricity. In the quiet he was not heard. Second - Capacity. Container for fruits big and roomy, there is suspension of bottles. Container for odorous foods such as fish and other. Food. Our new Bosch regulator is on the door, all clear in the regulation and there are lights. Very nice appearance. We are proud of your purchase! One drawback can be called transparent glass shelves, I do not like that they quickly zalyapyvaetsya. And so we are very happy! I chose Samsung as our city has a service center and I was satisfied with value for money and quality is satisfied. Our LG seven years already. When you move dragged on 7 fl. 7 and fl, and 300 km. transported, refrigerator without a problem! Inside, wipe with a microfiber cloth. Refrigerator dry, does not emit odor, well-ventilated, long products are stored. Not big, but roomy. 3 camera, freezer frost free. I like all Liebherr)))) Price, a tall, if they are the best, you are willing to spend. I like Electrolux, has bitter experienceparents hardship with him, I have him now changed attitude. But there is a positive experience like that of the compressor 2, as when broken freezer, use the freezer. Bosch like, they are excellent in operation. AEG said that the walls there painted, and this is a big disadvantage when choosing. Although beautifully executed inside. We have tried to disclose as much as possible this article for you and wish you when buying a refrigerator weigh the advantages and disadvantages of each model and make the right choice. And what a refrigerator is better in your opinion? 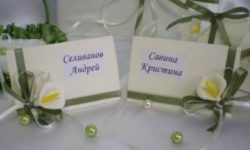 Selection of women: iron with a steam generator, steam generator or steamer?